On these treks one can be required to trek continuously for more than a week through remote areas and at times trekking for more than 7 hrs a day. On most of these treks one has to cross passes or areas which are snow covered and involve camping at altitude of more than 4000m. Fit people with some kind of hiking experience & a spirit of adventure can contemplate going on these trails. Lamkhaga Pass is one of the popular choices for Mountain Trekking in Himalayan Mountain trek-routes. Located in the Indo-China Border at Dhauladhar Range, connects the north-eastern Garhwal with Himachal Pradesh. The altitude from sea-level is a dizzy 5326 meters or 17320 ft. So you can very well imagine how adventurous and breathtaking the trekking experience of Lamkhaga Pass will be. Trekking teams can choose two-ways either from Harsil, the beautiful hill-station of the Garhwal region to end at Chitkul, the last village with inhabitation at Kinnaur Valley in Himachal Pradesh, or vice-versa. Harsil to Chitkul is the preferred route of 90 kms trekking by many adventure and jolly-trekking lovers. History has it that this enchanting Lamkhaga Pass Trek, which is comparatively remote by its location, was first crossed and enjoyed by Marco Pallis in 1933. Actually the Harshil hill-station trekking takes the route via Gangnani (where the river Gangnani flows from Himalayan Mountain); Kyarkoti; Sukhatal; Lamkhaga Pass; Gundar; Dumti; Ranikanda and ends at Chitkul. Since the area is under control of Indian Army, trekking teams have to get Inner-line Permit from the Deputy Commissioner at Uttarkashi of Uttarkhand. Here the trekking group can also have the darshan of God Viswhanath Temple, famous pilgrimage center for all Hindus in India. Some of the important camps of Lamkhaga Pass are worth mentioning here. Harsil is a small town on the banks of River Bhagirathi. Pilgrims to Gangotri have to pass through this place and the famous bridge, built by Raja Wilson alias Fredrick Wilson deserting the Indian Army and took refuge here. Wilson Cottage built in 1864 stands testimony for his memory, as an awesome huge mansion. The unspoiled scenic beauties of Harsil and the panoramic view from this high-location (2620 kms above sea level) are to be seen to be believed. Fresh unpolluted air and water in a serene atmosphere are bonuses. Gangnani is the next important scenic location, where swarms of Gangotri pilgrims take a holy dip in the Natural Hot Water Spring, by name Rhishikund. Among the chilling glaciers of Himalayan Mountain, this is a real nature's gift. From Harsil to Kyarkoti the trekking is filled with watching breathtaking views of snowy mountain-peaks, while crossing the dense forests of deodar trees, Alpine forests full of "paper trees" (Bhojpatra) and juniper etc. along with Kyarkoti Bugyals (meaning Alpine meadows), country-folks called "bakriwale" rearing flocks of mountain sheep and goats, and running langoors (a type of monkeys). With some luck, you can even have the chance of seeing ibex (species of wild goat), snow fox, eagles and mountain crows. Gundar-Dumti trekking is of 15 kms and will be an enjoyable one, with the beautiful sceneries all around, when the trek is going upwards and downwards. Similarly, Dumti to Ranikhanda will be equally fascinating due to its giving a pleasant feeling, to look around and enjoy the scenic views Mother Nature is providing for the mankind. Chitkul, the final destination of Lamkhaga Pass Trek is the highest (11316 ft.) and last village of Baspa Valley, along the banks of Baspa River. From here you can view the entire Kinnaur valley and its mountains to happily end the most thrilling Lamkhaga Pass Trek. Enjoy the ultimate fun of fishing at Baspa River flows in the Sangla Valley, which is quite known for trouts (freshwater fish). Spot exotic species like Langoor, ibex, snow fox, mountain crow and eagles. 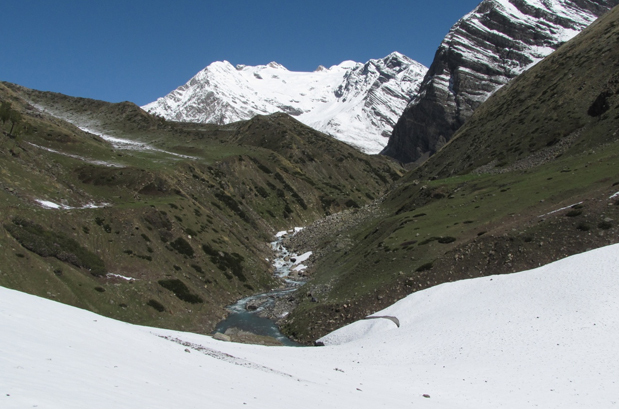 Best time to travel to Lamkhaga Pass Trek is in summers (May – June) and Post Monsoon (September – mid October). Summer: The weather of Lamkhaga Pass Trek remains salubrious and pleasing during summers. The Himalayas are distinctly visible and the cool breeze adds charm to the vacation. Carry woolens with you. After post monsoon: Serenity and solitude are at its best during post monsoon at Lamkhaga Pass Trek. 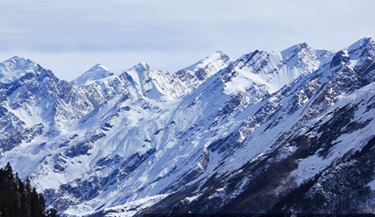 The region is blessed with snowfall during winters and the accommodation options also remain few. But you can see the best of Lamkhaga Pass Trek during post monsoon as it looks like Heaven on earth. Where is the Lamkhaga Pass? Located at an elevation of 17335 feet on the Indo-China border, Lamkhaga is a high mountain pass that connects the northeastern Garhwal region to Kinnaur. It's not easy to reach the pass, one will have to cross narrow paths, craggy moraines, slippery glaciers and even take permission from the border police force. By Air: Jolly Grant Airport is the closest airport from Harsil, which is around 250 km away. Daily flights are available from here to Delhi, Mumbai, Bangalore, Lucknow, etc. Second closest airport is Indira Gandhi International Airport, around 486 km from Harsil. By Road: Since Harsil is well-connected with all the major cities and towns of Garhwal, one can reach here easily by taking a bus or taxi. Uttarkashi (75 km), Dehradun (217 km), Rishikesh (243 km) and Barkot (122 km) are the nearest town to Harsil. By Railway: Haridwar Railway Station, 250 km from Harsil, is the closest railway station. Haridwar is well connected by railway networks with major destinations of India. Early in the morning, we shall catch an Ac train to Haridwar (scheduled at 6.50 hrs). Upon arrival at Haridwar; meet our representative who will assist with reaching Rishikesh and hotel check-in. Evening free to explore the area. Overnight stay at the hotel. After the breakfast, we shall drive to Harsil, which is 165kms from Rishikesh. On arrival, check-in to a hotel. Evening is free for exploring Rishikesh. Overnight stay at the hotel. After the breakfast, we shall start our first day trek to Kyarkoti via dense forest. We shall also be passing through several waterfalls. On arrival at Kyarkoti , we will set our camp for overnight stay. Today, we will trek to Lamkhaga Pass Base Camp via a narrow valley. 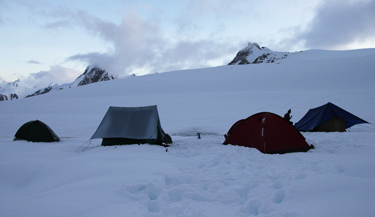 On arrival, we will set our tent and stay overnight. We shall leave for Gundar early morning with our lunch packed. Our trek today requires crossing the rough boulders to reach the Lamkhaga Pass (5280 mts/17320 ft). From there, in few hours trekking on a comparatively easy ground we will reach Gundar. Overnight stay in tents. Post breakfast, we shall trek to Dumti with packed lunch. 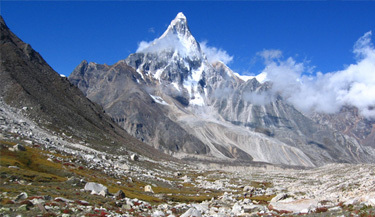 The trek requires both trekking upwards and then walking on a gradual descend. On arrival, overnight stay at camp. Today, we shall explore the scenic beauty of Himalaya from Dumti and then will begin trekking through lush green meadows to reach Rani Kanda. Overnight stay in the camp. After the breakfast today, we will start our last day trek to Sangla via Chitkul. Dinner and overnight stay at camp at Sangla. 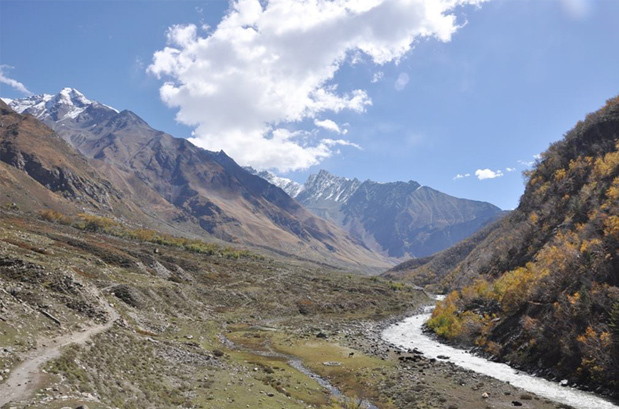 Today we shall explore Sangla, which is a small village that is surrounded by high mountains like Kinnar Kailash. It is well known for trout fishing. Overnight stay in the camp. Post breakfast, we shall drive to Shimla today. On arrival at Shimla by late evening, we shall check-in to the hotel and stay overnight. Today after breakfast drive to Chandigarh and from here catch an AC train for Delhi at 12:00 hrs. Arrival at Delhi by 15:25 hrs. When to book Lamkhaga Pass Trek? You should book Lamkhaga Pass Trek well in advance (at least 4 month prior) advance so that you get ample amount of time to prepare well for the trek. 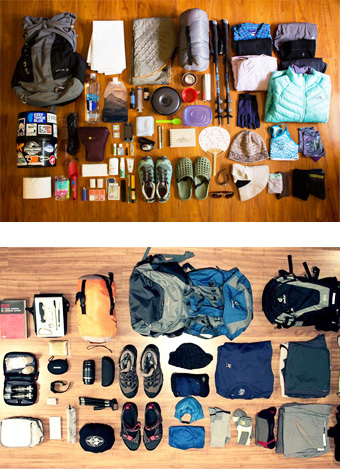 Once you book your trek with us we will provide you a list of things to carry, which should not weigh more than 12 Kgs. Our pick up and drop point for Lamkhaga Pass Trek is New Delhi train station. We will send you the train ticket and you can board train from there to Haridwar. At Haridwar our guide will pick you from train station and then from there your tour will start. What is minimum age required for Lamkhaga Pass Trek? Lamkhaga Pass Trek is a challenging trek with a maximum altitude of 17335ft (5286m) minimum age required is 18 years. What will be the minimum temperature during Lamkhaga Pass Trek? How long we trek during Lamkhaga Pass Trek? If we have to extend the trek due to reasons that are beyond our control then additional charge may apply, which includes hotel stay and food. Diamox is indeed helpful when you have little time for acclimatization but we strongly advise to consult the doctor before taking Diamox. Safety is of prime importance for us that is why the tours are managed by us personally and not by a third party. Thus, we assure that the trek is absolutely safe even for solo female trekkers, who can join us for fixed departure treks. Good trekking shoes with ankle support are must for any trek in the Himalayas. Quechua is good shoes with value for money. We serve nutritious simple vegetarian food during the trek. We maintain variety in lentils, vegetable and breakfast. At times, we also treat our trekkers in the Himalayas with delicacies and local dishes etc. Himalayan stream water is safe to drink as well as for cooking but we also have water filters, and chlorine tablets in case of an emergency. Most of the Himalayan roads towards the trek are in bad shape, so vehicle with high ground clearance like Mahindra Bolero, Tata Sumo, Scorpio, Max, Tempo Traveller etc are used for transportation. Are your fixed departures dates are definite? We guarantee that even if that there will be only one trekker, we will head out on that particular date. How do you deal with emergency situation? Our trek leaders are certified mountaineers with knowledge of first aid in wilderness and they carry necessary first aid kit. At each camp they asses your condition and can take relevant and prompt action in case a rescue is required. Please note in the case of a rescue, all the additional cost will be borne by the trekker. Register for the trek on the website and we shall send the details about the booking procedure.